The amount of waste generated from every household poses a serious threat to both the surrounding environment and the people, if it is not disposed off in proper manner. Recycling the waste is one viable option, but not everything can be recycled. 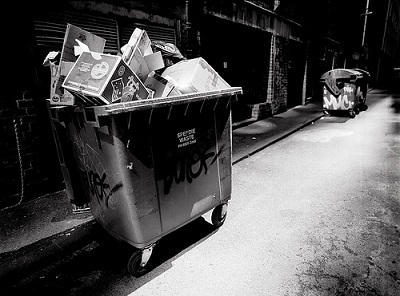 To get rid of unwanted and unusable garbage, opting for skip bin hire in Perth is a smart choice. The bins come in various shapes and sizes, and fits different purposes as per the quantity of trash produced and the manner of disposal. Before you hire a skip bin service, make sure to keep in mind these following factors. Before you choose a skip bin hire service for your waste disposal needs, it’s imperative to estimate the volume of waste produced in your area and whether the relevant service has the resources to meet the capacity of waste generated. A word of mouth always comes as a help to pick a service that has the potential to match your budget and requirement. Check whether the skip bin has the capacity to hold solid waste materials without too much part out in the open. You cannot hire a service that collects all your waste materials in the skip bin and exposes the toxic materials to the surroundings. Certain wastes can have detrimental effect on the environment and they require specific disposal treatment outlined by a set of rules and regulations. Usually, a skip bin is emptied upside down and any hazardous waste in the bottom will come out on top, thus infecting the environment. The waste removed from your area may find its place in someone else’s locality and in the worst case you may be fined under the state law regarding waste dumping. Always remember, getting rid of waste is not the only solution; improper disposal is only going to haunt you and your surroundings. Loading a huge amount of waste onto the skip bins require some amount of effort and it’s advisable to check with your provider whether they have bins with movable parts or a door on one of the ends to make the process of stacking the waste a lot easier. There are a lot of companies that save their cost of manufacturing by designing traditional skip bins, which makes life difficult while loading heavy solid materials. A removable door allows for maximum access to the interior and hence, easier loading of waste materials. Just like cleaning up your locality, taking care of the environment is also your responsibility. Check which one of your preferred choices has the resources to provide you with waste recycling options. There are a lot of operators who provide separate bins for recyclable waste and unfeasible ones. Having multiple small bins allows you to separate different categories of waste at the source, allowing easier processing of green waste, which may otherwise end up on the landfills.